Thinking of moving to Illinois, but not sure where to start? Consider the beautiful town of Shorewood, located just an hour southwest of Chicago. It may not have the glitz and glam of the big city, but there are a number of reasons to consider living in this beautiful suburb. 1. It’s perfect for a new family. Just recently married? Have a little one on the way? Consider starting your family in Shorewood. Great schools and safe streets make this suburb a perfect home for you and your loved ones. Looking for a quick weekend day trip? Look no further than Chicago, located just an hour’s drive away. 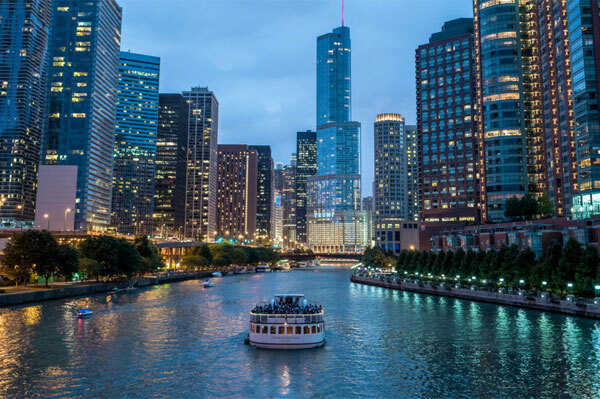 The windy city provides an immense variety of activities from the Willis Tower Skydeck to Navy Pier. With so much to do, your day trip might just turn into an overnight stay. 3. Tons of outdoor activities. Shorewood is perfect for outdoor enthusiasts. From forest preserves and dog parks to hiking trails and fishing spots, Shorewood will keep you active and healthy. 4. There’s always something to do. So what if you’re not the outdoor type and you don’t like big cities? Shorewood still has you covered. There’s no shortage of entertainment options, including casinos, malls, breweries and live entertainment. 5. Great places to eat. One of the best things to do in Shorewood is simply going out to eat at one of Shorewood’s great food spots. From Mexican eateries such as Casa Maya to the Asian flair of Smile of Siam to a breakfast spot like Crispy Waffle, there’s something for everyone. Whether you’re starting a family or you’re just out on your own for the first time, Shorewood is a great place to live. Located just an hour southwest of Chicago, you’ll never run out of fun and interesting things to do just outside your front door. Sandy provides services in Shorewood, Channahon, Minooka, Plainfield, Crest Hill, Joliet, and other Chicago suburbs. Contact Sandy Majetich-Toth today at 815-791-2215, Coldwell Banker – The Real Estate Group, 925 Illinois Route 59, Shorewood, IL for help with searching for a new home, selling your current property, and to experience service that only an experienced REALTOR® can provide.